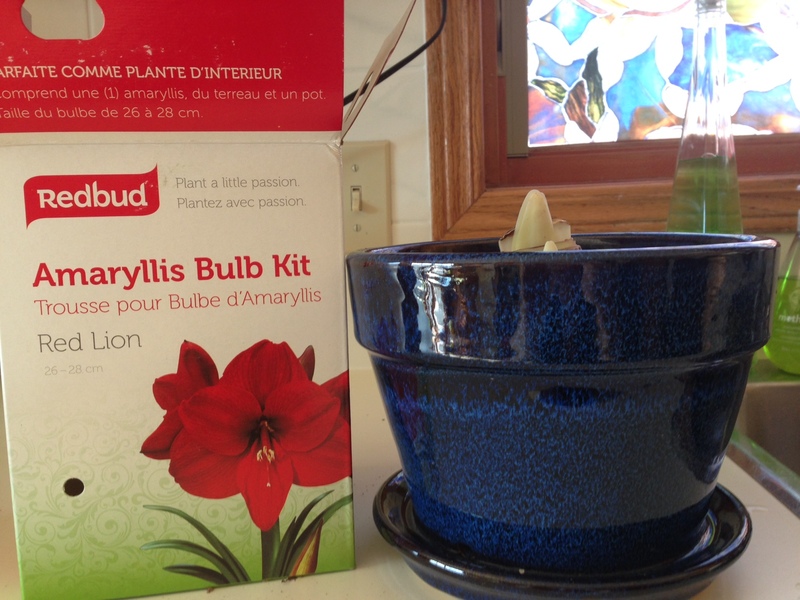 For a relatively quick floral reward, I like to plant amaryllis bulbs sometime in late November or early December. Once the roots take hold and the stalk begins to grow, you can watch it grow an inch or more every day. The flowers are about 4 inches across and very exotic looking. They last several days and are very cheery. My mother gets them to re-bloom every year, but I have had mixed results with that. 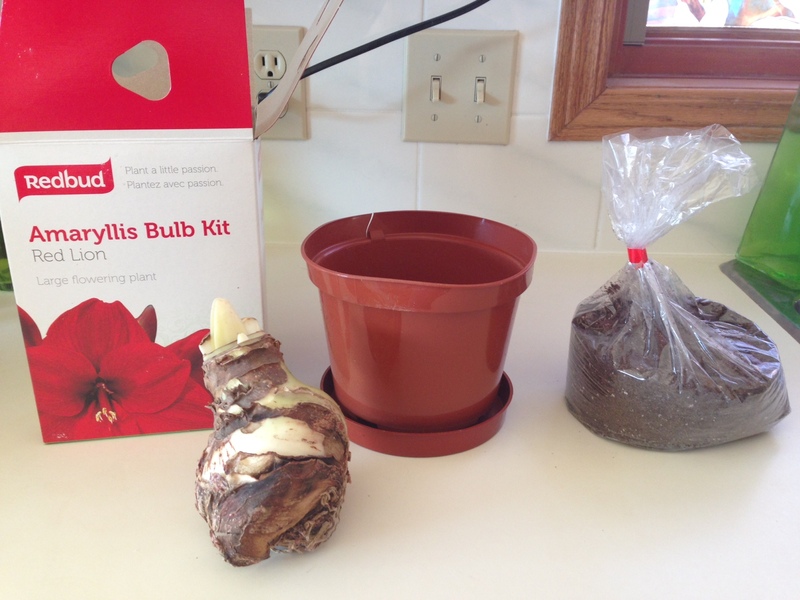 The bulbs often come in a kit with soil, pot and bulb. I save the pots for spring use as I find they are too light for the weight of the top heavy flower. 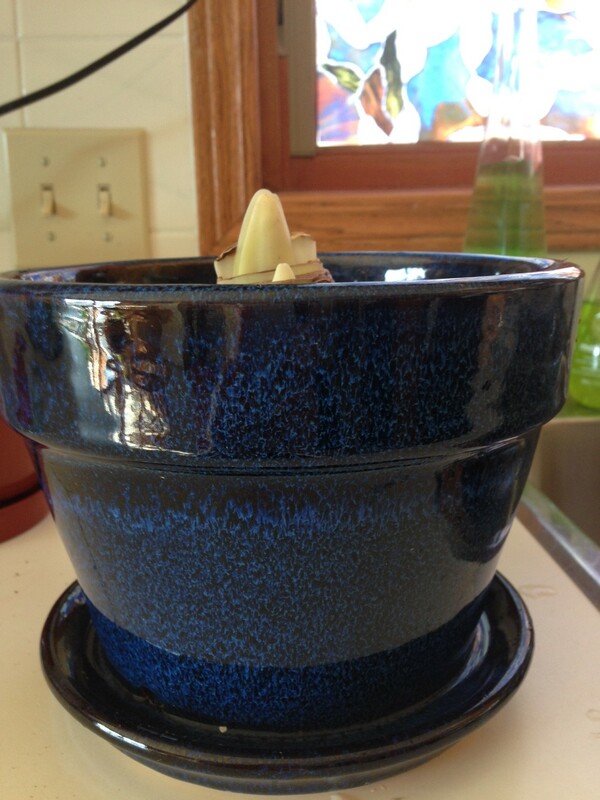 Instead, I use nice clay pottery to give a solid weight on bottom so the plant does not tip over. Planting is a snap. Wet the soil and cover 2/3 of the bulb with the soil. Keep moist so roots can form. Within the month, the stem will begin to shoot up and then things happen quickly. 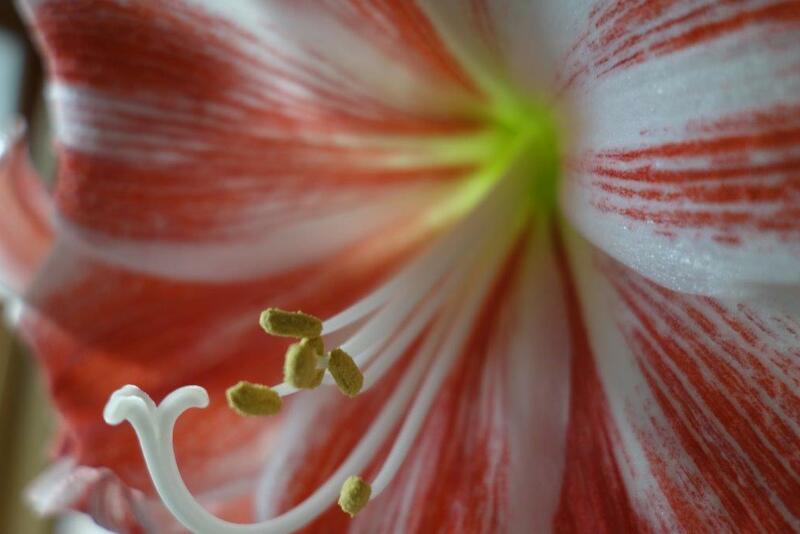 The stalk gets to be 2-3 feet tall, and each stalk supports 3-5 flowers. 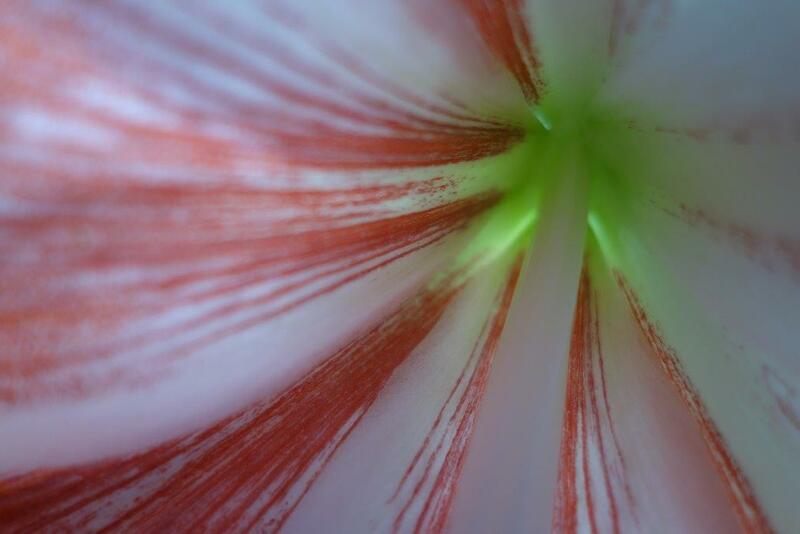 This year, my bulb has its shoot already showing. I will post other photos when it begins to bloom. 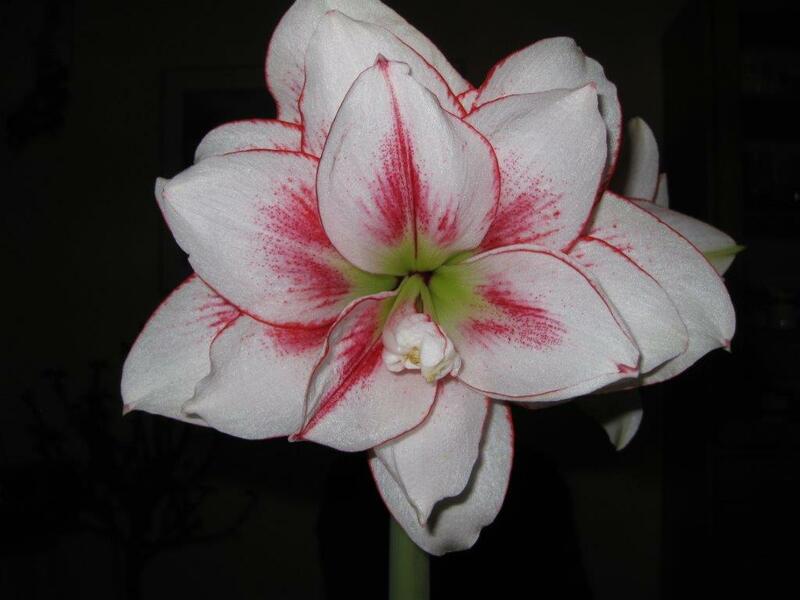 Until then, these are photos from the bulb I had last year, which was a smaller variety red and white flower. I chose a deep red this year. I think the flowers are interesting, and the kits make good gifts for plant-loving friends. They can plant them and have lovely flowers in the middle of winter. Nice! They are really fun to watch grow when they get going.